We have 4 directors because as\we are a limited company with a Guarantee. They make sure we stay legal. we then have others who help and are in subgroups of the different areas. if you would like to join a team, run a team contact Davo on contact@peaceinthepark. On the weekend of the event, we need stewards who give 4 hours of their time and we give them some food and a shed load of thanks. Host a collection tin in your local pub. Peace is something so far from reality for so many people in the world, and in Sheffield we are incredibly lucky that in most of our daily lives, we are free from harm. We might have struggles, and some of us are definitely suffering in different ways, but if we hear a loud bang, we don’t fear a bomb – it’s probably a firework. VOLUNTEER:- stewards , welfare, to help with fundraisers. MARKETING:- Help run our social media, over see marketing schedule, share information with our radio show. LIVE OR RUN A LOCAL GROUP IN UPPERTHORPE OR NETHERTHORPE – how can you help with the festival – promote the festival, perform on the community stage,.help set up, help with community cohesion. Of course, you don’t have to just restrict yourself to these 4 ideas – we welcome anyone with new ideas and who wants to help make Peace in the Park happen. 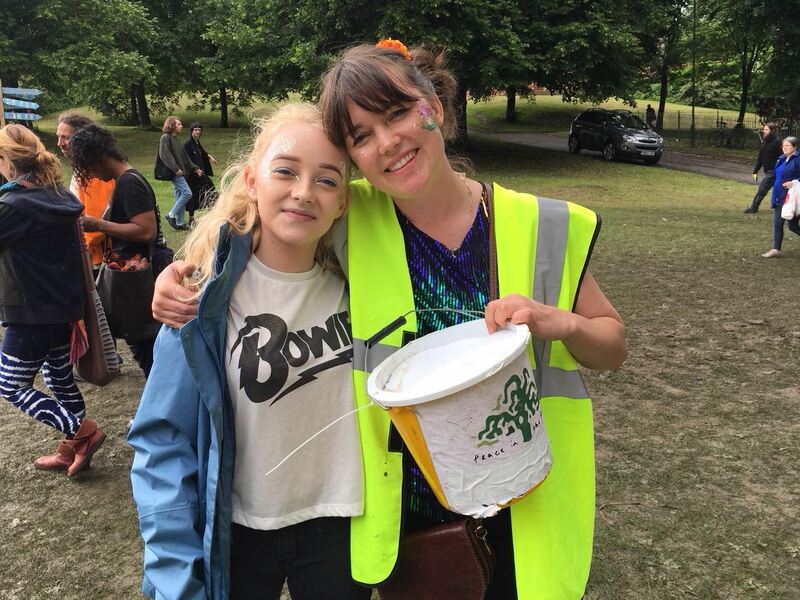 Feel free to get in touch with our Fundraising Coordinator at fundraising@peaceinthepark.org.uk to discuss or, for more general enquiries, contact@peaceinthepark.org.uk.